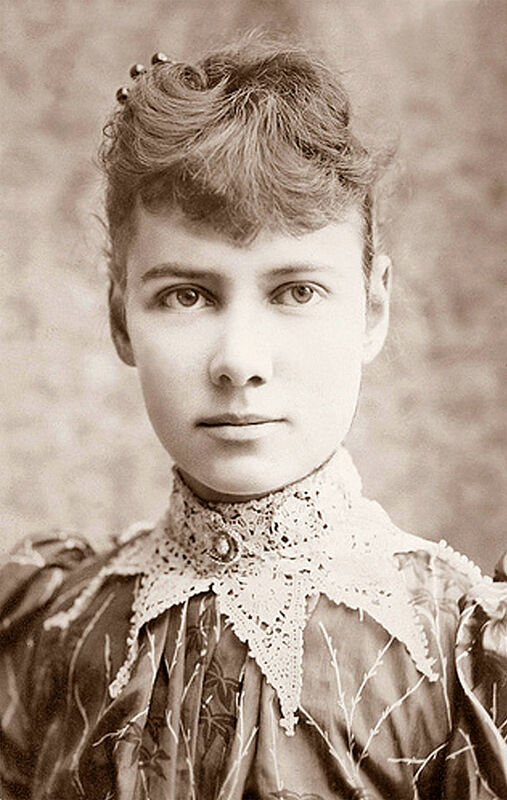 Nellie Bly (1864 – 1922) was a writer, journalist, inventor and industrialist. Perhaps most famous for her trip around the world in less than eighty days, she undertook the trip to see if Jules Verne’s famous book could be turned into reality. 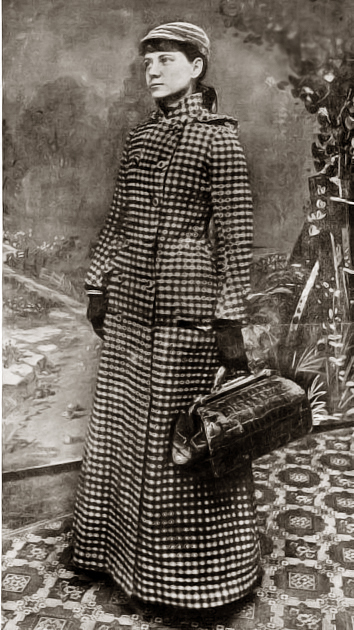 In 1889 she started a journey of almost 25,000 miles around the globe that took her to England, France (meeting with Jules Verne), Italy, Ceylon, Singapore (buying a monkey), Hong Kong and Japan. Travelling by train and steamboat and sending progress reports along the way, she arrived back in New York city after 72 days, more than a week faster than the fictional Phileas Fogg. As a pioneer in investigative journalism she took an undercover job to investigate reports of brutality and neglect at a women’s lunatic asylum. Faking insanity she stayed at the asylum for ten days to experience the treatment firsthand. Her article raised many questions and the book was a huge success, bringing her lasting fame. Later in life she ran a steel manufacturing company and patented several inventions.